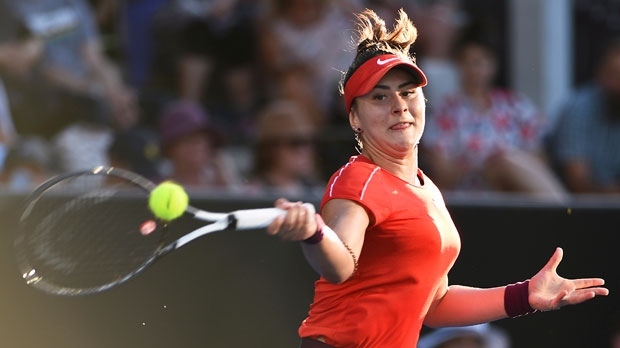 Bianca Andreescu will anchor the Canadian side in this weekend's Fed Cup World Group II first-round tie in the Netherlands. Captain Heidi El Tabakh is going with Andreescu and Francoise Abanda in singles and the doubles team of Andreescu and Gabriela Dabrowski. Dutch team captain Paul Haarhuis nominated Arantxa Rus and Richel Hogenkamp for singles, with Bibiane Schoofs and Demi Schuurs handling doubles duty. The teams will play on an indoor red clay court at the Maaspoort Sports & Events facility in 's-Hertogenbosch. The winner will advance to the World Group I playoffs and the loser will have to compete in a World Group II playoff tie to maintain its place in the World Group II for 2020. Andreescu is 16-2 this season and has risen to No. 70 in the world rankings.